ASSOCIATE EDITOR JAKE LINGEMAN: After a quick one-night stint with the 2014 Jeep Cherokee Limited, I've decided that the only bad angles are the front and front three-quarters. I don't mind the back end as much anymore. But that crimped grille and pointy nose are just weird. The seats and interior treatment are much better than any of the other small SUVs from Jeep, barring the Grand Cherokee, though I did detect a little noisy vibration from the dash. The center stack sticks with Dodge/Chrysler/Jeep's new look. I thought the steering wheel felt good in the hand, and all of the buttons are easy to read and use. I know this V6 engine is good. But it's not very good in this car. I'm not sure if it's the nine-speed transmission or just the general overall tuning, but it feels sluggish. There isn't a ton of room in back -- nowhere near the amount in the old Cherokee. I had to fold the seats down to fit a set of golf clubs in. I'm thinking if you pack four adults in this car on a road trip with luggage, it would be tight. The Cherokee is in a tough spot in the market. Bigger SUVs cost a little more, but offer a lot more utility. And smaller ones are cheaper and offer almost as much as this. Most of all, I wish Jeep would have stuck with the boxy styling that the old car was known for. ASSOCIATE EDITOR GRAHAM KOZAK: The 2014 Cherokee is an important vehicle for Jeep. Wranglers may be selling like hotcakes and the Grand Cherokee's value is reflected in its sales numbers, but Jeep really needed a somewhat more fuel-efficient vehicle to distract us from its lackluster Compass/Patriot pair. I'm not sure the Cherokee is that vehicle. Or rather, I'm not sure that the Cherokee as-tested, laden with features but also hobbled by a high sticker price and merely acceptable fuel economy, is that vehicle. More basic models make more sense to me. But let's look at what we have in this particular example. Power is adequate with the optional V6. I'd like to drive the four for the purpose of comparison, though -- I could probably make do with its 184 hp. The Cherokee is not meant to achieve high speeds despite the carlike ride. The nine-speed auto seems to be a work in progress, but this one worked well -- shifts were not as imperceptible as I had expected (man, that's a lot of gears to work through) but it didn't seem indecisive or clunky. Sport mode, as one might expect, bumped shift points higher up into the rpm range. I was disappointed to find that, despite the 4x4 badge on the back, the Cherokee really had an AWD system; there was no low range or differential locking capability. 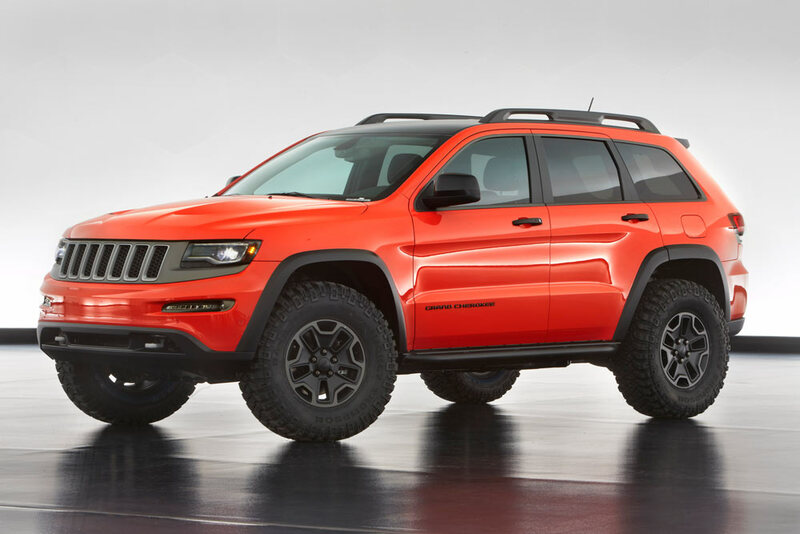 But there's the Trailhawk for that, and I've been told that it does have off-road chops. There were many gizmos on this tester, especially for a non-luxury vehicle in the class. I'm not just talking about the leather-trimmed seats and ventilated seats -- I mean the technology, such as the collision warning/crash mitigation and lane keeping features. Whoa, lane keeping is freaky. Interior quality struck me right away. I feel like we got a preview of what to expect in the Patriot and Compass which, despite their flaws, seem to have been getting better and better assembled. Material quality was high, generally. I'd describe it as a more refined Subaru. What else? Oh, right, that styling. Full disclosure: I will take a well-executed but polarizing car design over a bland one just about any day of the week. And the Cherokee, though polarizing, is pretty well-executed. Ignore the grille and headlamps/auxiliary lamp slits for a moment and you'll notice that it is well-proportioned; I can even see how this fits below the Grand Cherokee stylistically. I did not hear any jeers from pedestrians; mothers did not cover their children's eyes; no one threw any rotten vegetables at me as I drove by. So I can only assume that, in keeping with what Jeep chief designer Mark Allen intended, the appearance is forward-looking and will grow on people with exposure. My biggest point of contention, then, is the pricing. $37,030 is a lot to pay for this package -- too much, in my opinion. Granted, it is fully loaded with a well-appointed interior and all the bells and whistles you'd expect from a car far more expensive. But a 4x4 Grand Cherokee starts at $31,000, and while that gets you a pretty basic vehicle, consumers aren't going to be ignorant of the overlap. Fortunately, the 4x4 Cherokee starts at about $26,000 and the (allegedly) capable Trailhawk version stickers at under $30K.